morning before we open to the public. This club member exclusive case sale will be from 8:30am-10:30am. Stay tuned for details on case pricing and pre-order information. Join us for live music by Dakota Brown on Saturday from 2pm-5pm. 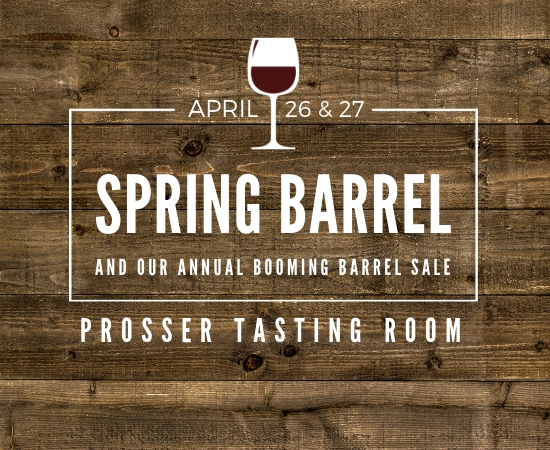 We will be charging for tastings at the door that will include a stemless logo glass for you to take home. Silver members receive up 2 tastings/glasses, Gold up to 4, and Platinum up to 6, included with your membership. Wine Yakima Valley Premier Pass holders will receive a 10% bottle discount and a 15% case discount.